With a crack team of local collaborators, Thompson Seattle is more evidence the city is ready for its close-up. 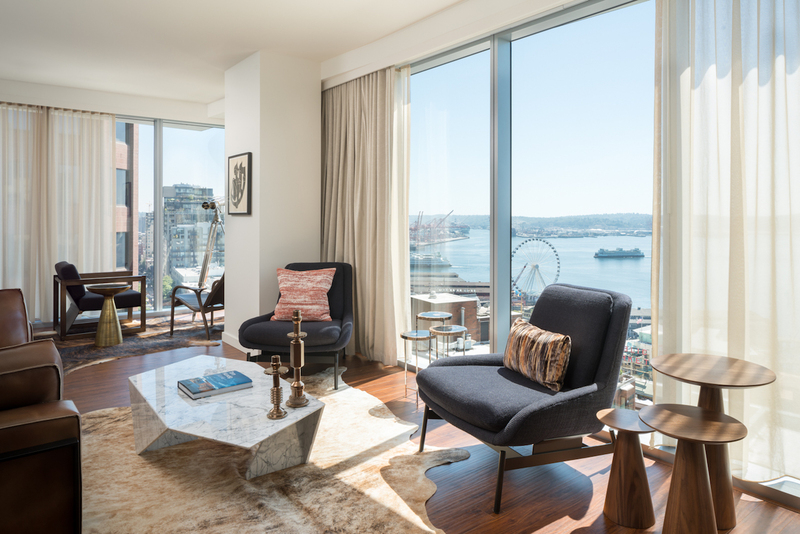 The guiding ethos behind the Thompson brand is to reflect and celebrate the locales in which it operates, and the Seattle property is no exception. Within earshot of the fishmongers’ yawp at Pike Place Market, the ambitious 12-story boutique offers guests an immersive experience with Seattle and the Pacific Rim thanks to an all-glass facade of floor-to-ceiling windows overlooking the Puget Sound’s Elliott Bay, and the surrounding neighborhoods of Belltown and South Lake Union. Interior artwork, fixtures, and furnishings sourced from local artisans further ground the hotel in its Cascadian surroundings. They’re details Kundig believes challenge notions of what a hotel experience should be. For Thompson, that also means a close connection with local gastronomy. 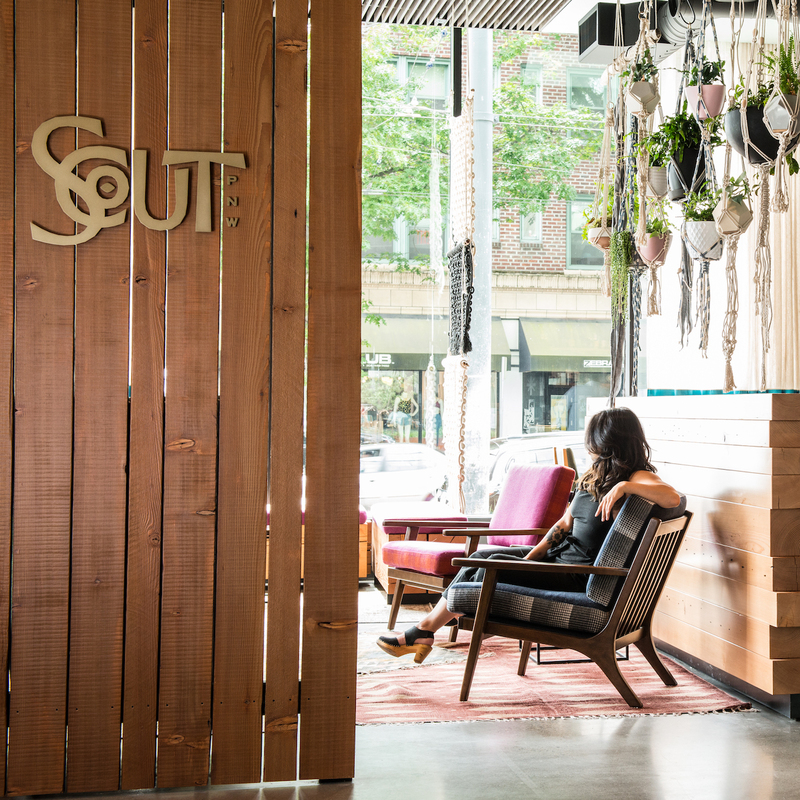 The hotel’s main level houses Scout, overseen by chef Derek Simcik and part of hometown chef Josh Henderson’s prestigious Huxley-Wallace Collective. The restaurateur’s reputation as a leader in Seattle cuisine has grown steadily alongside a near manic pace of openings that now dot the city’s map and span the culinary spectrum. 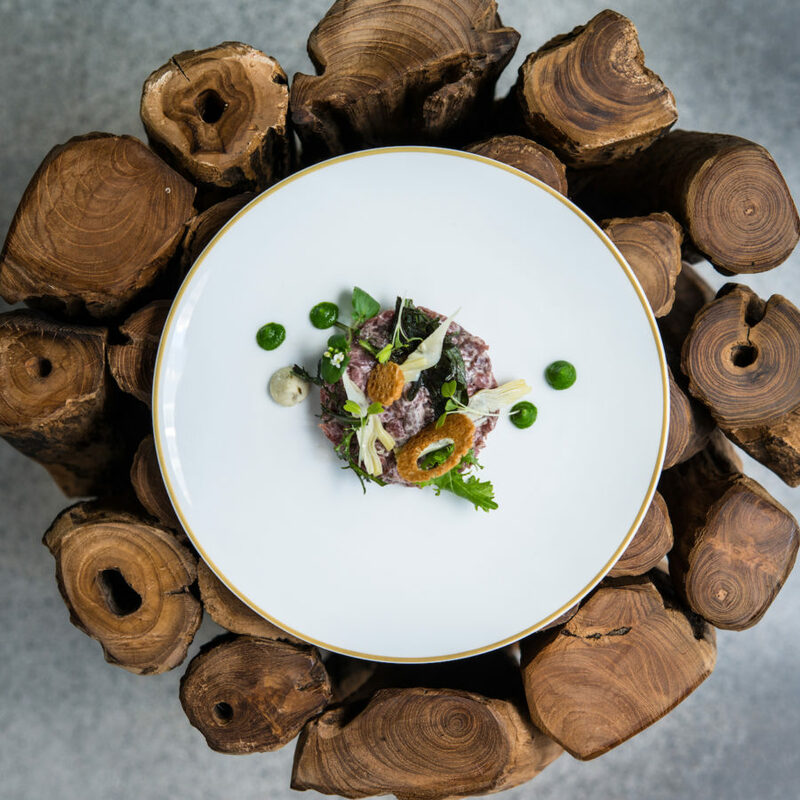 While not shying away from Seattle staples such as oysters and salmon, Henderson has pushed the limits to craft unique offerings across the restaurant groups menus.